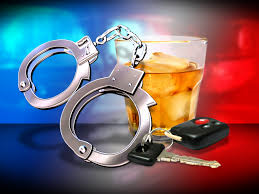 DWI Clinic Education Classes: The class focuses on rethinking your drinking, laws on DWI and victim impact. The class is offered the first Friday of alternating months beginning at 9am and goes until 4pm, with a 30 minute break for lunch. The cost is $150 due at the time of the class. Certificates are given upon completion at the end of class. Pre-registration is required. To register or for more information please contact the Administrative Assistant at the Park Rapids office at (218) 732-7266. Program for Addiction Recovery (PAR): is a structured substance abuse outpatient treatment program. Assessment, Treatment Planning and Group Therapy services related to co-occuring disorders are provided in conjunction with substance abuse treatment. PAR is offered in both Bemidji and Park Rapids locations. PAR also offers culturally specific services for Native Americans. Chemical Dependency Outpatient Group: We are committed to providing a best-practices approach to motivating and moving people through their chemical challenges. We take an individual approach with each client. To join one of our Outpatient Groups, please call (218) 751-3280 to inquire. The process starts with our office staff gathering some information from you. In order to join an Outpatient Group you must have had a Rule 25 completed that is no more than 45 days old. On a case by case basis, other criteria may be required. Rule 25 Assessments require payment prior to an appointment being scheduled, unless the assessment is covered by your insurance. Cost is $150 prior to being scheduled. Should you require the need to reschedule your appointment, please call our office as soon as possible at (218) 751-3280. Arrive for your scheduled Rule 25 Assessment appointment at least a ½ hour early to complete required paperwork. Paperwork must be completed in its entirety prior to being seen. If Assessment is court ordered, you MUST provide a copy of court orders, probation agreements, and incident reports. Without these, the Rule will result in being incomplete. DUI's and INTERLOCK - If you need this Rule 25 because of DUI's or INTERLOCK you will need to bring along a copy of all dated offenses of DUI's and/or INTERLOCK fails. This is something the MN Department of Transportation requires in the Rule 25. If it is not included, your request with them will not go through. In addition, if court ordered, you must sign an Authorization for Release of Information form for the county in which you live, the county in which the offense occurred and for the county court in which the offense occurred, as well as your probation agent, if you have one. Three (3) Collateral Contacts are required. Collateral contacts are persons having knowledge of your alcohol and/or drug use behavior. They can be friends, family members or co-workers. If you have a probation agent, one collateral contact needs to be your probation agent. In addition, you must be willing to sign an Authorization to Release Information forms for each collateral contact so that your counselor may interview them. The assessment cannot be completed without this important step. Phone numbers and their relationship to you are required to be included on the Authorization to Release Information forms. It is the responsibility as the client to make sure all collateral contact forms (which are given at the initial appointment) are completed and returned to the facility within ten (10) days of the appointment. Rule 25 Assessments are not valid and no recommendation letters will be sent to courts or probation agents if assessment is not completed within fourteen (14) days. If the Authorization is signed for the courts or probation and they request information, we will furnish information about whether or not you complied with all of the requirements to complete the assessment. It will be your responsibility as the client to furnish us with all the required information needed to complete a Rule 25 Assessment. No refunds will be made due to lack of collateral contacts or legal documentation.